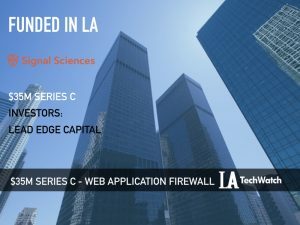 The latest venture capital seed and angel deals for LA startups for 3/8/19 featuring funding details for StrongBlock. The latest venture capital seed and angel deals for LA startups for 3/6/19 featuring funding details for Rogue Games. 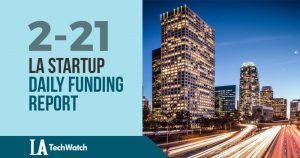 The latest venture capital seed and angel deals for LA startups for 2/22/19 featuring funding details for The Action Network and Surprize. The latest venture capital seed and angel deals for LA startups for 2/21/19 featuring funding details for Wander. 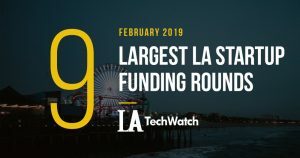 The latest venture capital seed and angel deals for LA startups for 2/19/19 featuring funding details for Brainbase. 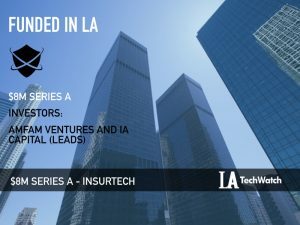 The latest venture capital seed and angel deals for LA startups for 2/14/19 featuring funding details for Casetabs and Skylar. The latest venture capital seed and angel deals for LA startups for 2/12/19 featuring funding details for Dray Alliance.